Upon hearing the news that Super Smash Bros. Ultimate would see the return of every single Smash fighter in the series history, we figured it’d be good to start putting together guides on each one. In this Super Smash Bros. Ultimate Sheik Guide, we’ll be shining a spotlight on Sheik, everyone’s favorite Princess in disguise. We’ll cover what’s changed since their last appearance, and take a look at what sort of moves you can expect from them. We’ll also cover what Sheik’s final smash in Super Smash Bros Ultimate will be, and also what alternate costumes will be available. Sheik used to be an alternate form of Princess Zelda in Smash Bros. accessed by triggering a special move. Now though, she’s her own separate character, with a full move set to make use of. She’s undergone a fair few changes since the last game, though looks to be just as effective. Sheik comes from the Legend of Zelda series, and in the table below, you can find a complete list of Sheik’s moves. There’s also details on how to pull of Sheik’s Final Smash in Super Smash Bros. Ultimate, called Skeikah Dance. 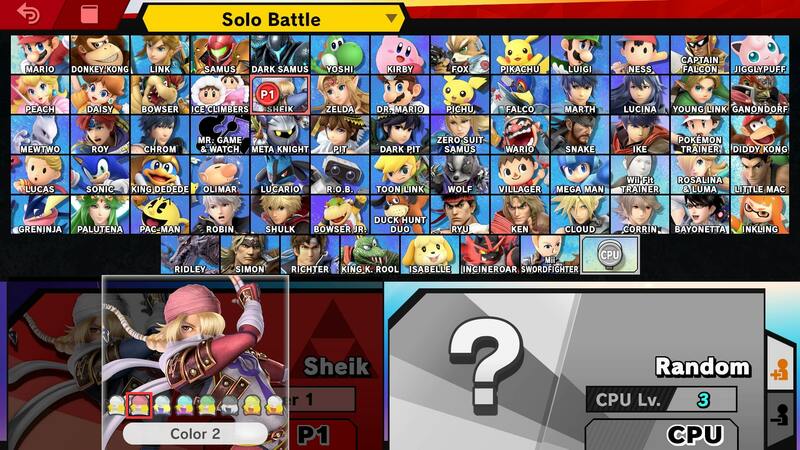 Just like many other characters in Super Smash Bros Ultimate, Sheik will have Alternate Costumes to choose from. In general, they are just minor color variations on her main outfit. There are blue, red, purple, lilac, green, black, powder blue, and yellow outfits to choose from. As before, these outfit variants offer no difference in battle, but can be helped to distinguish between players using the same character. The biggest change to Sheik in Super Smash Bros Ultimate is her Final Smash. In fact, she’s actually got a completely new one altogether, replacing her Light arrow attack from previous games. The new smash sees Sheik launching several quick attacks in succession, before finishing with a slower, strong attack. While this is happening, the sheikah symbol flashes on screen. That’s everything we know about Sheik in Super Smash Bros Ultimate. We’ll be adding more info as we get it, but in the meantime you can head over to our Super Smash Bros Ultimate Guides Hub for more info on the game.